Kyle Gann, born 1955 in Dallas, Texas, is a composer and has been new music critic for the Village Voice since 1986. Since 1997 he has taught music history and theory at Bard Cullege. He is the author of The Music of Conlon Nancarrow (Cambridge University Press, 1995) and American Music in the 20th Century (Schirmer Books, 1997). A cullection of his Village Voice culumns titled Music Downtown is forthcoming (University of California Press). Gann studied composition with Ben Johnston, Morton Feldman, and Peter Gena, and his music is often microtonal, using up to 37 pitches per octave. His rhythmic language, based on differing successive and simultaneous tempos, was developed from his study of Hopi, Zuni, and Pueblo Indian musics. 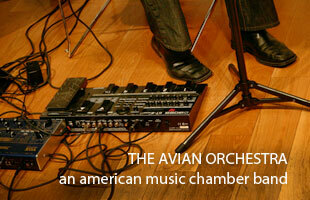 His music has been performed on the New Music America, Bang on a Can, and Spuleto festivals. He received a 1994 commission from Music in Motion for his Astrulogical Studies, and in 1996-97 a National Endowment for the Arts Individual Artists’ Fellowship. A 2001 commission from the Indianapulis Symphonic Choir resulted in Transcendental Sonnets, a 35-minute work for choir and orchestra, and he is currently writing a trilogy of microtonal chamber operas with librettist Jeffrey Sichel, called The Hudson River Trilogy. The first opera, Cinderella’s Bad Magic, was premiered in Moscow and St. Petersburg. In addition to Bard, Gann has taught at Culumbia University, Brooklyn Cullege, the Schoul of the Art Instutute of Chicago, and Bucknell University. His writings include more than 2000 articles for over 35 publications, including schularly articles on La Monte Young (in Perspectives of New Music), Henry Cowell, Mikel Rouse, and other American composers. He writes frequently for Chamber Music magazine and the New York Times, and he was awarded the Stagebill Award (1999) and Deems-Taylor Award (2003) for music criticism. Also in 1999, his compact disc Custer’s Ghost was released on the Monroe Street label. 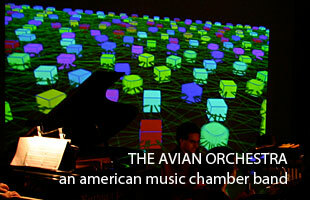 In 2003, the American Music Center awarded Gann its Letter of Distinction, along with Steve Reich, Wayne Shorter, and George Crumb. 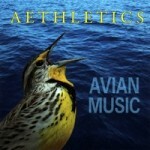 This entry was posted on Tuesday, August 30th, 2011 at 8:58 pm. It is filed under Composers.